Alaska’s Permanent Fund, Dividend and the central idea that minerals are a shared inheritance have inspired numerous social and political movements across the globe. The Goenchi Mati (“Goan Earth”) Movement in Goa, India, of which I am a part, has drawn from the experiences of Norway and Alaska with their permanent funds. Our core principles are (a) minerals are owned by the state as a trustee for the people and especially future generations (Public Trust doctrine); (b) minerals are inherited assets and our duty is to ensure that future generations have access to the minerals or their value (Intergenerational Equity principle); (c) mining is essentially a sale of minerals, hence we must ensure zero loss mining – in other words, the full value (the sale value minus all extraction costs and a reasonable profit for the extractor) must be received by the state as trustee; (d) everything received must be saved in the Permanent Fund, which must also be inflation proofed, ensuring the capital is safeguarded; and (e) any real income from the Permanent Fund must only be distributed as a Citizen’s Dividend, a right of ownership over the minerals and the Permanent Fund. It is not clear if Alaska has received the full value of its oil; whether zero loss mining was achieved. Any loss is a loss to everyone equally. It is simply a per head wealth tax imposed on everyone, with the oil companies making merry. Based on data in India and other parts of the world, we anticipate a majority of the value of the oil has been captured by the oil companies. If this is the case, it is a loss that will be borne by future generations of Alaskans. A close examination is potentially warranted, and additional taxes on oil may be necessary to ensure zero loss mining. When we sell an inheritance, we must invest everything in a new non-wasting asset of equal value. Traditionally, inheritances are held in precious stones, precious metals or land. These assets retain their value over generations. The Permanent Fund is a recent innovation designed to replicate this function. Inflation proofing is essential in order to ensure that the fund retains the real value of the natural resources in perpetuity. While over 50 such funds exist around the planet, Norway and Alaska are the exemplars. In contrast, infrastructure is a wasting asset, it depreciates or reduces in value over time. Even investments in health and education perish with the beneficiary. Hence, a diversion of oil money from the Permanent Fund to the budget eventually cheats future generations of their inheritance. Only a fiscal rule of saving 100% of the oil money ensures that the present generation does not cheat their children and all future generations. Norway, the other exemplar of natural resource management, follows the fiscal rule of saving all money from oil in the Government Pension Fund Global. Norway inflation proofs its fund by regularly estimating the long term after-inflation (real) return on their fund, and capping the distribution below this level based on the 5 year average fund balance. Imagine taxing everyone equally, rich or poor. It is almost impossible to legislate a per head tax – a tax on existence – in a democracy. It is clearly unfair. Yet, the current proposals in Alaska to divert some of the income of the Permanent Fund to the state budget is equivalent to a per head tax (to the extent of the lost dividend). Put simply, a legislation to tax everyone $1,000 would never pass. Yet, this is exactly equivalent to reducing the dividend by $1,000 and paying that amount to the budget. Alaska’s current budget troubles stem from a central misconception of the nature of oil money. Government accounting treats it as “windfall revenue”. Yet, it is obviously the sale of the family gold. Jay Hammond’s first experience with natural resources was with salmon runs in Alaska’s Bristol Bay. As long as salmon runs are managed sustainably, the money is revenue, equivalent to the fruit of the natural resource. Mining is unsustainable. Every barrel of oil extracted is one less in the ground. While Jay Hammond managed to see through the deceptive government accounting, his initial proposal to save 50% of the oil money did not go far enough. Eventually, only 25% of the oil money was saved, and 75% treated as revenue in the Alaska budget. The impact is obvious. Alaska’s budget soared from $3 bn in 2005 to $8 bn in 2013 on the back of the China boom. Expenditures followed. The crash has thrown the budget into turmoil. However, if Alaska had treated all the oil money as a sale of the family gold and saved it, the ballooning of the budget wouldn’t have occurred. It is a difficult time to consider saving all the oil money into the Permanent Fund, and only paying out a dividend without any diversion to the budget. Yet, it is the only ethical course of action. Any legislative proposal worth examining must mandate that this comes to pass within a limited time frame. 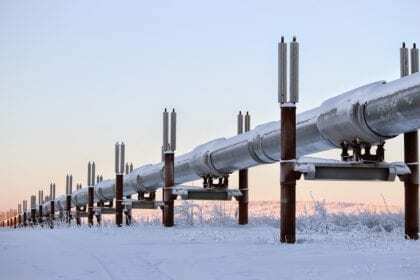 Otherwise, Alaska will continue to suffer from budget volatility due to oil price fluctuations, and this issue will recur. Alaska’s Permanent Fund Dividend is the largest example of a Citizen’s Dividend as well as Universal Basic Income in the world. A central idea of the Goenchi Mati principles is that the Citizen’s Dividend creates the link, financial and emotional, between the individual, their shared inheritance and their moral obligations to future generations. The expectation is individuals safeguarding their dividend would by extension safeguard the Permanent Fund and the overall mineral value. The current Alaska budget crisis is a second test of this seminal idea of Jay Hammond. The world watches with bated breath. Will Alaskans come out in large numbers to protect their children and future generations? Will individual interest and morality triumph as Jay Hammond predicted? Or will another beacon of what is fair, just and right in this world succumb? Rahul Basu is a member of the Goenchi Mati Movement, which advocates fair mining in the state of Goa.